Tax liens are one of the obscure corners of real estate that not all are aware of. This article is an attempt to publicize how to purchase tax liens online. With the advent of technology, buying tax liens online has become a much simpler process, but not all are aware of it. This article will walk you through the process and uncover the basic process of it. Decide on where you will invest: While there are several restrictions to online tax sales, the most important constraint is that you are limited to the states that have online tax sales. Not all states in the US entertain online auctions, while states like Florida, Indiana, Louisiana does, not all counties have online tax sales, our tax lien online course will help you find a list of these counties, and other details required. Discover the tax sale information: Most if not all of the data that you need is generally provided on the bidding or online auction website, which make things easier than ever. You can approach the county tax collector or treasurer, in order to find out where to go about it, or can also research and get educated from tax-distressed leading online auctioneer sites that conducts many of the online tax sales. Evaluation process: the hardest part of everything comes now; it is all about doing your due diligence for the tax sale properties and finding out if it is worth the effort. 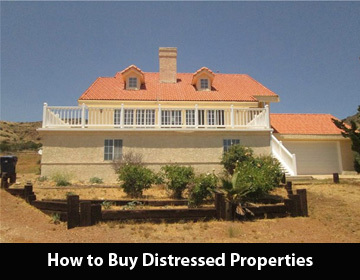 While some counties provide a lot of information about the tax distressed property, in some cases, you do not always get to see the entire list of tax delinquent properties available for sale. As an alternative, the properties are listed separately or in batches by an ID number, where you will have to click on each of them to get an idea, but not all information you need are listed here and this is where buying a meticulous list with all the evaluation information for the property can me very accommodating. Get equipped for the bidding process: A few weeks ahead of the sale, you should register for the sale and it is worth to note that you will be bidding for the tax lien certificate, but not for the property itself. Moreover, it is essential that you secure some amount for the deposit and for the non-refundable registration fee. For tax sales that bring into play ACH Debit as the process of payment for tax liens, you have to pay before the close of the tax sale and as with wire transfers the payment should be done within a day or two. Bid successfully: With online tax sales, this is easy to pull off. The online tax auction website usually opens up at least a couple of weeks before the tax sale, thereby giving you a plenty of time to bid as long as you register and get your deposit in on time. Keep track of the batches and get there before the closing time. Hope you found this article about purchasing tax liens online helpful. Whether you want to expand your portfolio or become a successful real estate investor, Zack Childress real estate guide can help you become a successful investor effortlessly. For more information about tax liens. A lot of people think real estate is by far the easiest to be aware of investment because of its straightforward and a fair transaction between a property owner (the property owner) and the renter. As long as the renter pays the rent on time and the property owner delivers what the renter is expecting everyone is happy. However, it is much more complex than this, though, because there are different types of real estate investments including residential, commercial, and industrial, as well as together with real estate that trades on stock exchanges, which are called REITs. Having said that, it is more than this and real estate investments have its own complications. This article will unearth some of the insider Zack Childress real estate tips, just read on to know more. Real estate is a tax-driven industry, whether you are a shrewd buyer, or a smart seller, agent, or an intelligent investor, the market of real estate can be tough for everyone. 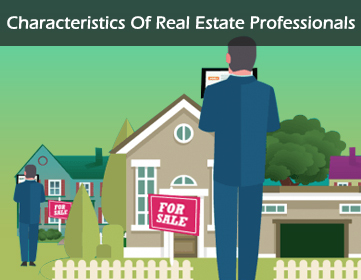 It is a highly fluctuating field, sometimes even the most whip-smart realtors could fail, so it is good to be aware of the pitfalls in this field. Real estate investments has its own pitfalls, hence you should analyze which category you wanted to jump into, whether residential commercial, or industrial sector. 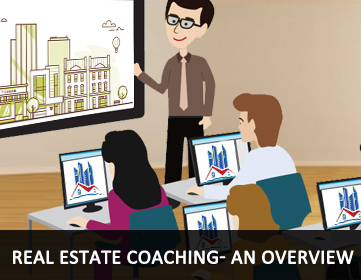 Zack childress reviews – An all-embracing real estate coaching can be instrumental to all real estate enthusiasts out there. However, not everyone knows the importance of attending a powerful coaching, depending on the person’s experience level; it can make a world of difference and simply transform the life of attendees completely. Zack Childress Real Estate – When you hear people say I was able to pull off Real estate business with no money or credit, a frown brow expression is what anybody would do, but this is not the case with people who are real estate fervents, because this is nothing new to them. For as long as real estate has been a speculation strategy, there have been ways to gain profit from it without money or credit. Yes! Knowledge is power; the information is wide spread and so is the funding, all that you have to do is research and know where to look. 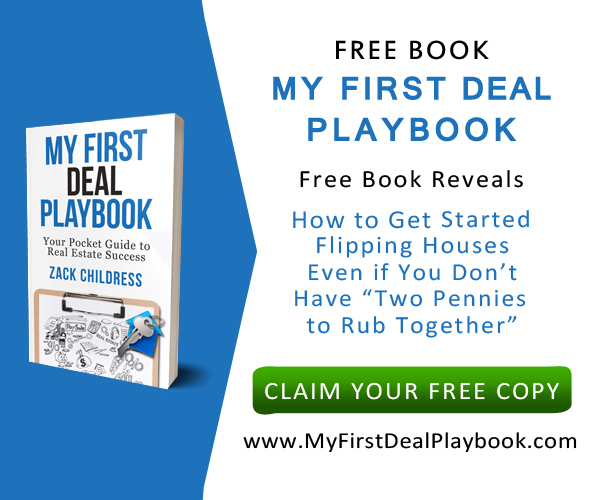 Now, coming back to the methodologies of real estate wholesaling, did you know that a majority of most renowned real estate tycoons got started in real estate by putting deals in concert with very little money or credit of their own, yes this may be far from belief, but this is very much true and their accomplishment was all based on having the right set of information, making the right connections, and putting into practice the right strategies. This is no magic, even an investor or wholesaler who executes things on a regular basis can benefit from this. Making a great and wholesome income can be accomplished by practicing some very established and proven strategies. Listed below is some of the most successful real estate investing strategies you can put to use with no money, or credit, so let’s have a look at it without much ado. Explore for properties along with the dealers who will make things easy while also contacting wholesalers and investors, bringing together a list of requirements and property types for each investor, you are said to achieve more with this at hand. The scout will hunt for real estate properties and ‘bring them’ to the potential wholesalers and investors, for a fee having said that, the stated fee can be as much as 50% of the profit and it is termed by a co-wholesaling agreement. Gain control over the seller’s mortgage payments, no matter even if mortgages are ‘not assumable.’ The main thing to note here is that, the ‘due on sale’ is only a clause and not a regulation. For example, if you are going to take control of a property through a quitclaim deed and gain control over the loan payments, the lender will not mind nor will they put into effect the policy clause, in as much as you make prompt payments. In the period in-between (since the investor has full power over the property) they can market and sell it, retaining with any proceeds from the sale. 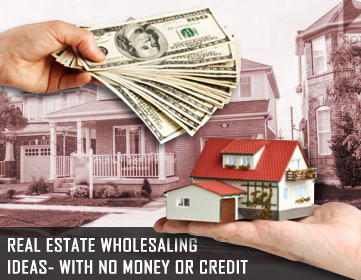 Real estate wholesaling is a great thing to pull off when you do it right, the best part is that you don’t have to bear anything ‘out of pocket’ costs, meaning you will profit in several ways! Doesn’t it sound pretty good, so if you wanted to unearth more of these strategies and make more riches Zack Childress is said to help, his automated wholesaling systems are yet another thing that every real estate enthusiast should be aware of, you are sure to gain more knowledge as you attend any of the webinars or seminars of Zack Childress, but what are the distinguishing things that you attain are listed here for your reference. Zack Childress Reviews – While there are several things that come into play being a successful real estate professional, the very first thing is always about passion. Classified under the category of hard business, it demands a lot of commitment to customer service, attention to detail, loyalty, and quick response, having said that many of the successful real estate agents or professionals share some of the attributes listed below. Being well-informed about the latest technology: Successful real estate agents do everything from anywhere and stay updated on the latest technologies pertinent to real estate and go paperless as much as possible and read a lot and stay well-run about the general trends regarding the real estate industry as a whole. Closely connected with neighborhoods: To put it in simple terms, successful real estate professionals are neighborhood experts and know a majority of environs out and out. For example if you ask a question about a street, they know what’s on the market, what sold in recent times, on the whole, he/she would be able to tell you the overall status of the neighborhood. Being familiar with the area is not something that everyone can nail down, even though these days anyone can look at houses online, but only few agents knows what creeps around below the surface and by this means they keep their value. A great network: These real estate connoisseurs whom we are referring to don’t just have a network that bring them leads or clients, but they have a network of top-notch associates who make available the same level of service they do instead. They are well-equipped with all the details while still knowing the best contractors, appraisers, lenders, and insurance providers in the business. The representative is the focal point of a set of professionals that can give an opinion and support with anything related to real estate. With all that said, just about every thriving real estate agent or broker has their own style of work ethics; some are fun and flamboyant, on the other hand, some are cool and calm, but pulling off everything they wanted to make it higher. 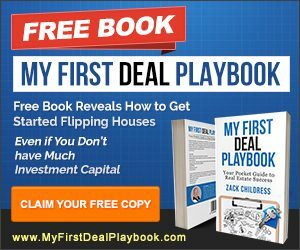 If you are looking to have something of the same sort and scale up your real estate business but fumbling somewhere and wanted some help, then look out for Zack Childress reviews about real estate investing and other articles that will enlighten intricate real estate concepts and guide you in the right way. Zack childress reviews an optimal real estate investment portfolio should balance both your goals and time. The investor must know to mitigate risk and at the same time should be in a position to diversify the portfolio optimally. As we all know, diversifying the portfolio is purchasing and investing on different types of assets. This prevents the investor from getting prone to financial crisis. When stocks and bonds aren’t performing, but the real estate is booming; the investor can earn cash flow through selling the property or earn monthly income by giving his or her property for rent. There are different types of investments named as asset classes. These classes are grouped depending on the characteristics, behavioral patterns and regulations. Stocks are commonly termed as equities, bonds are fixed income instruments. The investor possessing both types of assets is said to have a balanced portfolio. Investor having high risk tolerance mostly has large number of asset allocation. Creating a balanced portfolio is an excellent way for any investor. The risks and goals vary time to time. Even a balanced portfolio may produce risk. Returns depend on market conditions. Optimally balanced portfolio should have right mix of assets of different types. Even an imbalanced portfolio can generate excellent returns. There can be non-correlated behavior where one of the asset classes performs over the other and some of them remain non-performing. Stocks are more volatile than bonds. Equities produce significant changes in an investor’s portfolio. The imbalanced portfolio is defined by more number of aggressive portfolios over conservative portfolios. The ratio is calculated where you can find shift in the allocation. Portfolios having high risk tolerance have potential to create an unbalanced portfolio. These portfolios have to be constantly monitored and reviewed. This has to be done carry additional costs and tax consideration which creates a huge impact for rebalancing. Cash provides reserve for capital investment. This is used to adjust the portfolio through asset purchase. The rebalancing depends on several factors. Imbalancing is caused by constant rebalancing. Example: If an asset class outperforms, the investor many not invest on that asset again because by the time you rebalance, the value could have been depreciated. At that time, the investor may consider the idea of selling some of the assets to purchase new asset classes to create a balance. This in turn may yield high returns. The portfolio has 3 classes generally where 2 may perform moderately than the 3rd. at this juncture, the investor can contribute to 3rd class in order to maintain an optimally balanced portfolio. 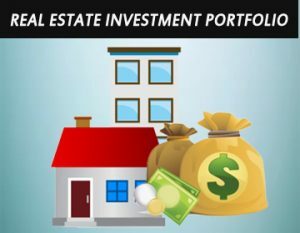 To know more about portfolio scams and diversification of portfolio,check out REI quick cash system where Zack Childress has written articles about real estate marketing strategies, tips for successful investment and how to purchase investment properties. For first time investors, make use of his articles, webinars and training programs which will be useful for beginning your career. 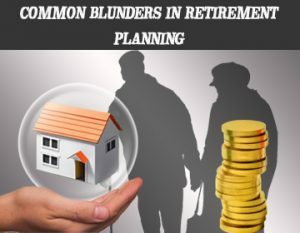 Zack childress real estate it is common that investors do few common blunders in their retirement planning. Zack Childress takes a quick review about it and provide solutions for it. Zack Childress make complaints on the investors that they make the following blunders in their verge of retirement. Investors make wrong predictions by thinking that they would not live long. But when a survey was conducted, the report showed that their predictions were wrong, they lived a pretty long life span. The investors who are on spending spree will not have a mentality to save the funds for future. When they are on the verge of retirement, they will repent and contemplate on saving at that time which is very hard. In few states, the retirement is forced very much prior and that would be really a quite unexpected event. These would further cause burden to investors. The portfolio of an investor should be diversified. Many would concentrate on a single asset and when the market fluctuates, the effect will be significant and leads to financial crisis. Many investors commit the mistake of saving the funds for their children and helping them out when they are in need of money. But the youngsters have lot of time to save for their future whereas pre-retirees should start allocating funds quick. We know that the market is not stable always, when the interest rate falls; your savings may not yield high returns as you expected. At these crucial points, you need to save more and deposit those funds once the rate of interest increases so that it gets compensated. People often miscalculate their debts, you may avail new loan any time. You may be pushed to any circumstance at any time. How to start retirement planning? You can take help of the retirement planner whether they would give their ideas on how to save money for the retirement and what are the expenses need to be curtailed. You need to set financial goals on how much you can save every month and how much you need for the retirement. In case you are in plans of buying a retirement home, you need to start saving for the down payment. You can find article on retirement homes and get to know about retirement home scams in Zack Childress REI quick cash system. Zack Childress advises the investors to start saving for the retirement once you are a millennial and that’s the right time to begin saving. When you are baby boomers, many other commitments will add like car loan, children’s education etc. The amount you save also reduces. As you grow old, you invite more health problems. The investors should keep in mind that they need to allocate funds for medical emergencies apart from saving for their retirement home. Hence, avoid these blunders and plan your retirement well ahead by the above mentioned strategies. 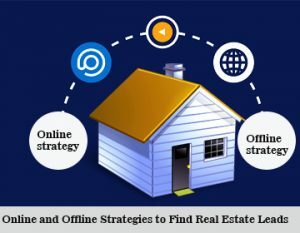 Zack Childress suggest new ideas on how to find real estate leads. Stay an edge above the others and follow these strategies. Print media is still alive and many of them still look out for buyers through newspapers. So don’t forget this community. Conduct a quick survey; say on a Sunday where all would be there. Ask all the questions contemplating in your mind through this survey and find answers. Go ahead with the results you get to find buyers in your area. You can find buyers at your workplace or gym or frequently visited places like café, supermarket. In case you are seriously looking out for buyers, visit exhibition or trade fairs. Look out for companies which are re-locating to a new place or starting a new branch to expand their franchise. Make use of fundraising events to find leads. Find FSBO owners, retirement communities, join REIT, take part in seminars, contact past clients, create door hangers and hang it on the knob. Beware of scam,whenever you post about a rental property it reaches out to millions of people and there could be scammer anywhere. Online research will help you out to find how the people in your area find information. Browse through LinkedIn; use Pin Interest website to make a Lead Page. You can use Facebook Ad campaign where it targets buyers who want to do quick home sale. Facebook has groups where anyone can join and be a part of it, the advantage is you can check out as well as post about properties. There are various groups, like for your entire city, for your specific area. Make use of this to find. Post articles which will target many buyers at a time. You can start a blog and reach to a wider audience or post it in Facebook groups. LeadPages is a new tool which is recommended to every realtor who wants to make big and find buyers. There are different templates available and it’s your choice to choose a template according to your preference. It also allows you to add a video, insert text and edit the background. Testimonials and direct mail marketing are important to find leads. Newlyweds may look out for new homes; you can find them on Facebook. A deep research will help. You may find leads by searching for hash tags in Instagram and twitter stating “moving out”. Create an exclusive whatsapp group for this and bring all the leads together in one place. Google plus helps in finding people of similar interest. Provide e-learning materials to all these members so that they get attracted towards you. Webinars for first-time homebuyers can be arranged. Host a periscope session to talk to these people and find who are interested in buying home. Create engaging video content and take up hot topics on real estate and talk. 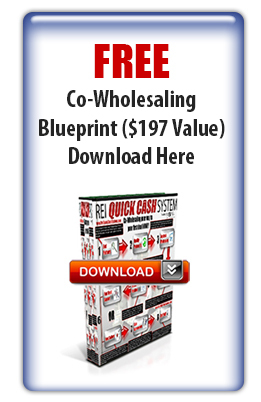 To know more on how to find leads, check REI quick cash system. Zack childress distressed properties in pre-foreclosure stage are quite good in condition and require less repair work.There is huge demand for foreclosed properties that are for sale in public auction. These homes are suitable for financially sound investors who can bear hidden, unexpected expenses that occur during or after home purchase.In case you are availing mortgage or belonging to low income community, then the investor may land up facing a financial crisis which is not advisable. Look out if any timeline contingency being added in the home sale. There could any unexpected circumstances like previous home owners paying the outstanding loan, lender may disapprove the auction sale and he may occupy the distressed home, and you may had to back out at that point of time. So you should be able to tackle such situations wisely. Zack Childress review the pros and cons of buying a foreclosed home and how to approach the team of experts. You avail 15 percent discount on distressed properties as bank sold it “as is” , but you may be spending that amount on your repair work. Approach foreclosure experts, meet and discuss in detail about the entire foreclosed home-buying process, rules and regulations. Get to know about. Is it really worth spending on this property? Approach your financial and tax advisers and check whether you are eligible to buy distressed property.Real estate agents should be hired after screening because many scammers pretend themselves as realtors and sell properties that never exist. The REO (real estate owned) properties are homes which has lost its structure and in worst condition and can be sold only after renovation. This requires huge amount of money which must be shelled out from buyer’s pocket. These properties are usually unsold for a long time. Due to poor maintenance, there could be mold and cracks. The natural calamities may affect these properties in due course and make it’s even worse like pipes getting broken. These homes are open to robbery and vandalism at any time. The REO properties have a contingency that the bank is not subjected to bear any repair or renovation during or after the sale. 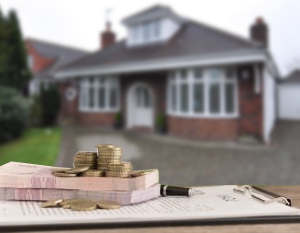 The financial burden is transferred to the purchaser like unpaid debt, unpaid tax, loans or HELOC or anything that is connected to the distressed home. The mortgage lender wait for a stipulated period of time, if it exceeds your loan is disapproved automatically. You may have to wait until complete renovation gets over, till then you may have to live in another place. Previous owners may stay in these homes until they are legally evicted. These are few situations that may take place and you need to face until you move-in. To know more about distressed properties and the investors who are looking forward to buy a foreclosed home can check the articles written by Zack Childress in REI Quick Cash System. The review suggests how to buy second home, what are the benefits and drawbacks etc. Second time home buyers also face the same challenges of first-time buyer. The second home can be larger in size or small. Although there are fewer homes for sale ranged from moderate to high prices, there are many buyers to afford a second home. There would be less negotiation and quick decisions have to be made. 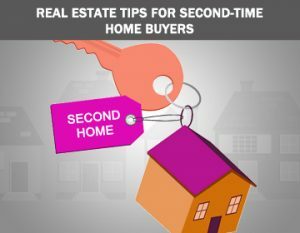 It is not easy to buy a second home as if you have to first satisfy the lender requirements, moving cost have increased. Investors can avail HELOC scheme for down payment, avail mortgage for the second home and first home can be given out for rent or sell the home which you are residing in. In that situation you should stay in a rented apartment. If you are unable to sell your first home or while selling you faced a financial loss, you should compensate it with private mortgage insurance. To know more mortgage schemes, visit Zack Childress REI quick cash system where you can learn about HELOC scheme and other financing schemes available. Renting out the first home to avail cash flow. Consult a mortgage lender to get the details about documentation as new regulation requires income and debt documentation. Getting approved in prior will increase the chances of availing second mortgage. You can opt for homes that need to be updated. These homes are cheaper than renovated ones. You save a lot when you opt for such homes and competition is less for such properties. Make use of virtual tours to take quick decisions in this fast paced world. Online research will help you to gather information and eliminate the properties without visiting in person in order to save time. Sellers usually prefer approved and qualified buyers, so make sure you get them as well as quote a price that matches the market value thus you become one of the strong contender. Be flexible on closing the deal. House hunting experience is already well-known for second-time buyers, so have a specific vision and requirements while you search. Location and neighborhood should be the first criteria. As you have already experienced the home buying process, you must be aware of scams in the real estate. In order to prevent from scams,take necessary precautionary measures. Automated wholesaling system is a concept started by Dc Fawcett real estate for the new investors to learn about co-wholesaling.